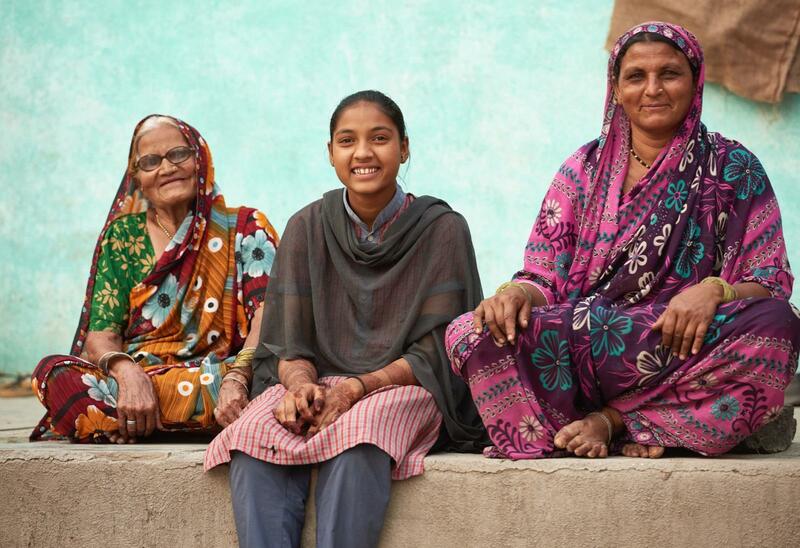 “Without Ashok’s Girls Club, my life would have turned out completely differently. I would have been married, forced to quit school and I’d probably already be a mum, despite being just a child myself. If I had survived the birth that is. My life would have been over,” says Salia, 15, gravely. 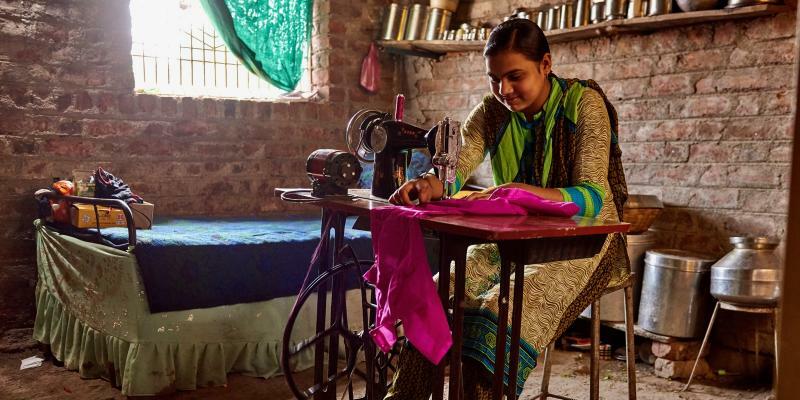 She was on her way to becoming one of the 15,600 girls in India who are forced into child marriage every day. 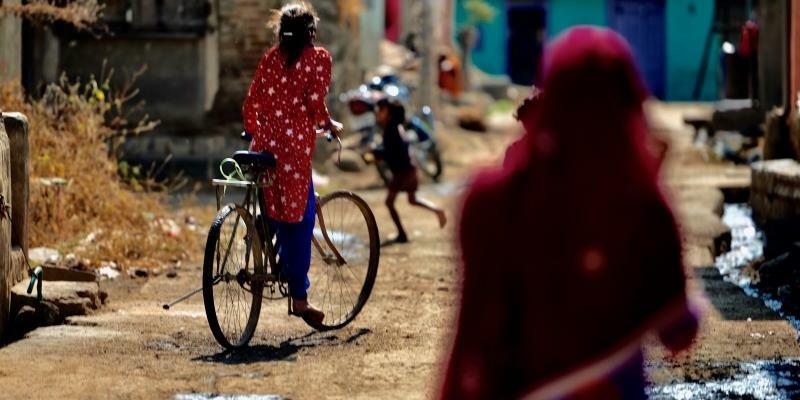 Lives in: The village of Brahmangaon. Hates: The fact that us girls and our opinions don’t count. Best thing that’s happened to me: When I managed to stop my child marriage. Worst thing that's happened to me: When they were planning my marriage. Wants to be: A teacher or social worker in Ashok’s organization, IHMP. Looks up to: My grandfather. He respects me and listens to everything I say. I also look up to everyone at IHMP fighting for our rights. I want to be like them! “The nicest things I own are my school things. My books, pens and schoolbag,” says Salia, doing homework together with her little brother. 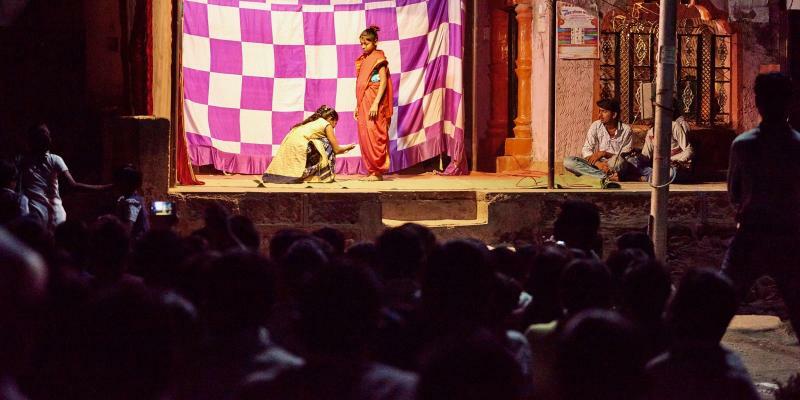 “I was in one of Ashok’s Girls Clubs, and I’d learned a lot of bad things about child marriage. I knew that I would be forced to quit school and that there was a high risk of me and my baby dying if I fell pregnant. But most of all, I knew that child marriage was illegal. “I was worried and angry. It felt so strange that my family were sitting and discussing marrying me off. I cried and couldn’t sleep that night. The thoughts were buzzing around my head. The woman stayed the night, but the next day I didn’t say a word to her before I went to school. It felt like she wanted to destroy my life. And when I got home from school, it was impossible to concentrate. It hurt too much." “Today we’re going to talk about child marriage and girls’ rights,” says Salia, and welcomes all the girls in the club. What are the disadvantages of child marriage? What is the legal age of marriage for a boy and a girl? “Rojina came home with me after school and told my parents about a girl who had been forced into an arranged child marriage. The girl had been so distressed that she took her own life by drowning herself in the village well. “My mum got worried when she heard this and talked to my dad. I knew that dad was actually on my side, but I was still worried that he would feel under pressure to go along with the woman’s proposal. Both Salia’s mum Sajida and her grandma Jeitun were married when they were 12 years old. “When I was young, girls didn’t go to school. No-one thought about us. I think it’s really good that Salia hasn’t married yet, and that she’ll get to finish school and have a good future,” says her grandma. 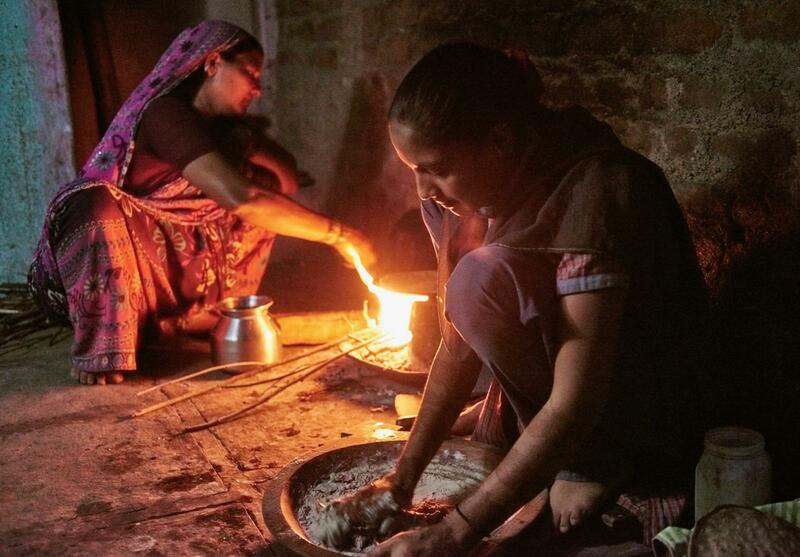 Salia grinds chilli and makes chapatis together with her mother. 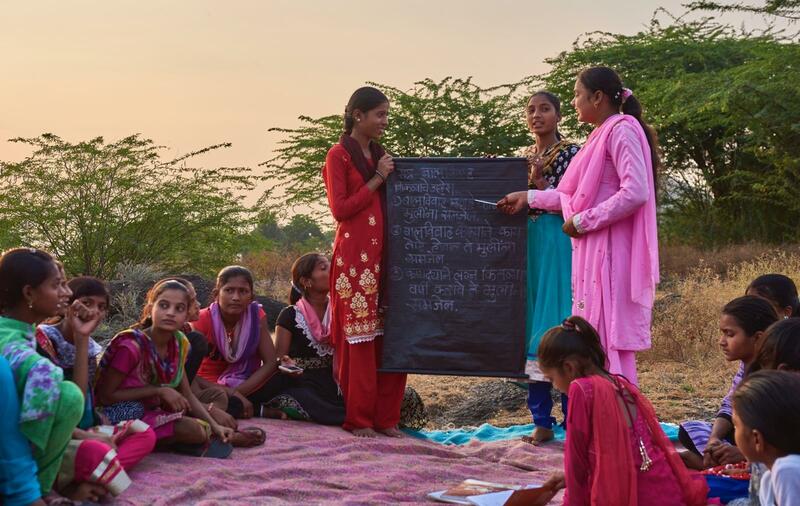 “It’s thanks to Ashok’s Girls Club that I gained the know­ledge, support and courage to dare to talk to my family and fight against child marriage. Ashok saved my life and I’m so grateful! “I joined the Girls Club in our village when I was 13 and I’m now a peer leader of a Girls Club myself. We meet twice a week and my friends Rojina and Saima come too. There are twenty of us who meet every Wednesday and Saturday, and I love it! The meetings last two hours. We spend time together and have fun, but we mainly talk about girls’ rights. What we’re doing is right! “The Girls Club gives us knowledge, and together we are stronger. It boosts our confidence and we are bolder about saying what we think. And now that there are a lot of us, people listen! “We bring both adults and children together at village meetings and we tell them about girls’ rights. When we last had a demonstration march through the village, there were just forty of us girls when we started, but more joined along the way and by the end of it there were loads of us! We held placards and shouted that child marriage had to stop, and that girls’ rights must be respected. Of course, some of the adults weren’t happy with us, and some lads teased us and laughed, but we didn’t care. We know that what we’re doing is right. Why are girls forced into child marriage? If a family is poor, they can marry off a daughter and then there’s one less mouth to feed. When a daughter reaches puberty, the parents worry that she might be raped or exploited in some other way. They think she’s safer within a marriage. If you make sure your daughter isn’t raped, doesn’t have boyfriends or other relationships outside marriage, it protects the family’s honour. “The Girls Club is the only place where we can be completely free. We can meet there and learn important things about our lives, chat, laugh and share our problems. These kinds of places to meet and opportunities don’t normally exist for us girls. 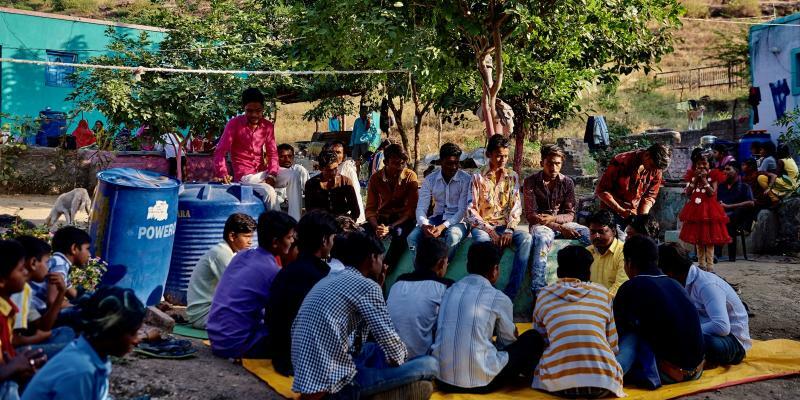 In villages like mine, girls don’t get the chance to talk. Our opinions don’t count. We’re not listened to. 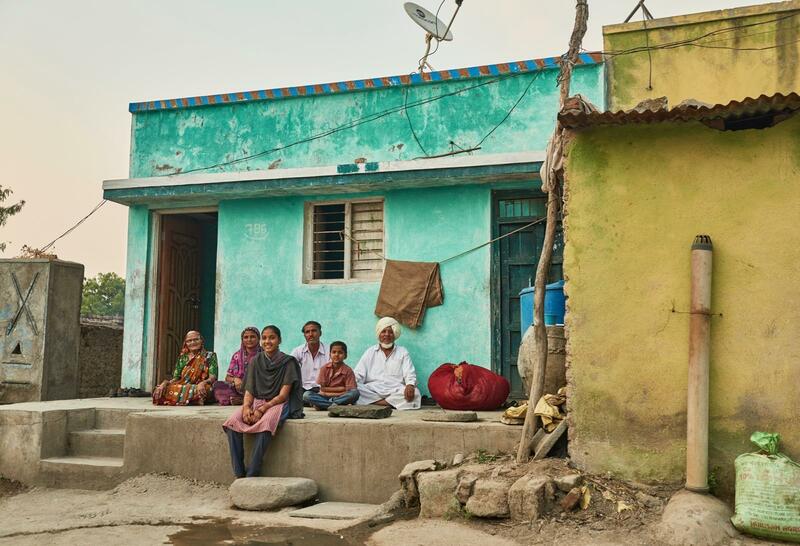 Without Ashok and IHMP, we would never have had this freedom,” says Salia. “When my friends in the village, who are the same age, and I had completed the Life Skills Education Class that Ashok’s organization runs, the other girls chose me to be a peer leader for our club. I was really happy and proud! 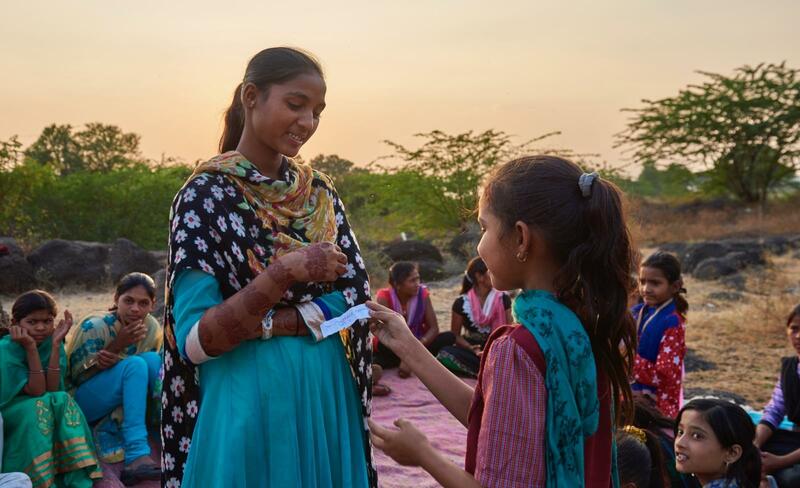 Together with peer leaders from other villages, I go to Ashok’s organization regularly to learn even more about girls’ rights and about how to teach the Life Skills Education Class,” says Salia.